If the federal minimum wage is increased, how will it affect your business? 70% - It won’t impact my business at all. 11% - The increased payroll expense could put my business in jeopardy. 5% - It will prevent me from expanding. 14% - I will start replacing employees with technology. 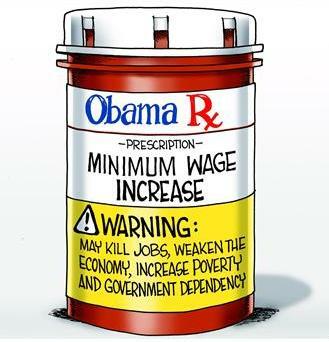 • Fewer small businesses pay their employees minimum wage. • More small businesses accomplish growth by buying technology rather than hiring workers. But just because the impact isn’t as negative as it once was doesn’t mean raising minimum wage is a good thing. Past experience shows that only a tiny percentage of American workers will actually benefit from this increase, but many more will be harmed because businesses now have other options. Raising minimum wage has never been about income equality. Since the 1930s, when it first went into effect, the national minimum wage has been nothing but a political device used to appeal to low wage earners to get their votes, and to unions members, whose contract wages are calculated as a percentage of the federal minimum wage. Raising minimum wage is no longer a big negative for most small businesses, but it is for economic growth and the ability of businesses to manage their expenses based on marketplace factors, instead of by government fiat. Any politician who proposes an increase in any minimum wage-federal, state or local-is misguided at best, and disingenuous at worst. I like bananas any way you want to fix them: banana splits, banana sandwiches, bananas on my cereal, and of course, just a banana by itself. Once I even ate a banana dipped in chocolate. Mmm! Mmm! But before I can eat a banana, I have some business to take care of–I have to lose the peel. A banana peel is actually a double problem: It tastes bad, and if you step on it, you will slip and fall. Everybody knows that. The banana peel has become our metaphor for danger underfoot. So with two out of the three things I know about bananas being bad, when I see a banana why do I first think about how good it will taste? Why don’t I dwell on the two negatives instead of the one positive? It’s because I know that if I handle the banana correctly by removing the peel, including the strings (I hate those! ), and properly dispose of it, I will have myself a pleasing and healthy result. What if we looked at challenges the way we look at bananas: a pleasing and healthy result wrapped in a distasteful and possibly dangerous peel? I’ve been in the marketplace long enough to feel qualified to say that many of the challenges you and I will face in our small businesses won’t have any worse odds than a banana–2:1, negative to positive. I call this the Blasingame Banana Principle (BBP). So how do you apply the BBP? When you’re presented with a challenge, instead of dwelling on the consequences, imagine the possibilities. But just imagining won’t get the job done. 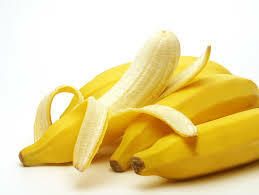 Just as with a banana, you must first deal with the possibility’s peel. Road test the BBP this week. Work on becoming an expert at properly disposing of your possibility’s peel so you can get to the good stuff. If you can make the Blasingame Banana Principle your default approach to problems, I am convinced that your word will change. By the way, I like my banana sandwiches plain, please; no mayonnaise or peanut butter. It’s The Age of the Customer – are you ready? From that first transaction, when shells were the reserve currency, to about 1993AD, the marketplace dance was performed zillions of times with little variation. I’ve termed this period “The Age of the Seller,” because the Seller controlled two of the three elements. Then something happened that had not occurred for 10,000 years: A new age – I call it The Age of the Customer®. This new Age was born as micro-computers and associated innovations converged with high-speed Internet and associated applications. As this convergence shifts marketplace paradigms, it conveys the balance of power from the seller to the customer. Products and services are still controlled by the Seller. The buying decision is still controlled by the Customer. The information – including customer experiences – is now easily and abundantly available to the Customer without being controlled, filtered, or distributed by the Seller. The Age of the Seller is succumbing to The Age of the Customer, as customers resist restrictions of the former Age and embrace the empowerment of the new. During the transition, Sellers are operating in parallel universes, but not for long. Your small business is now operating in an age where customers rule. They like this new-found empowerment, and increasingly expect sellers to connect with them on Age of the Customer terms. Hidebound Sellers, nostalgic for when they had control, will become irrelevant and perish. Visionary Sellers that transition to the new Age with their customers will be successful by recognizing that being competitive is no longer enough—you also have to be relevant. Be sure to listen to my latest segment from The Small Business Advocate Show®. I talk about how the Age of the Seller is being replaced by the Age of the Customer, and why your business has to make the conversion from the old age to the new one. It’s the Age of the Customer — are you ready? My latest book The Age of the Customer® is now available for purchase at the locations below. Click the images to purchase the book and to view more information about maintaining relevance with your small business. You’re operating your business in a time when something is happening that is so momentous it has never happened before. 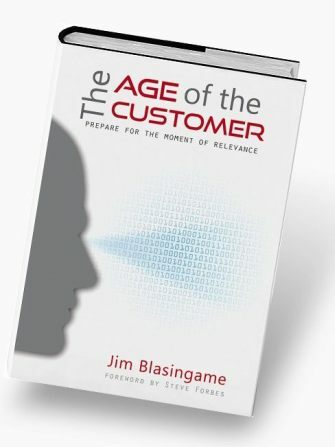 Jim Blasingame identifies it as an epochal marketplace shift that’s causing the 10,000-year-old Age of the Seller to be replaced by the Age of the Customer. • How the two Ages currently, but temporarily, exist in parallel universes, and how much time you have left to join the emerging universe. • How relevance is replacing competitiveness as the coin of the realm, and what you have to do to make this switch to Age of the Customer thinking. • How your future will increasingly be decided at the Moment of Relevance, and what you have to do to be the chosen one at that moment. • The new influencers who co-own your brand message sometimes before you even know they exist and how you can get them to be your partner. • Why you must become a storyteller. • The good, bad, and ugly of social media. • The killer app that wasn’t any part of your past but will dominate your future. Jim will teach you how the Age of the Customer is impacting love, trust, emotions, niches, globalization, intellectual property, selling, branding, and even technology. Plus he will reveal what is not going to change. In the Foreword, Steve Forbes says Jim has both the foresight of a prophet and the courage of a heretic. This book is a visionary message delivered with tough love and, as Steve says, Jim is the best at this. You’ll keep this book handy for continual reference, because you won’t find the perspectives Jim Blasingame delivers here anywhere else in any one place. It’s The Age of the Customer®. Let Jim Blasingame help you Prepare for the Moment of Relevance. SBA Poll Results: Should unemployment benefits be extended? 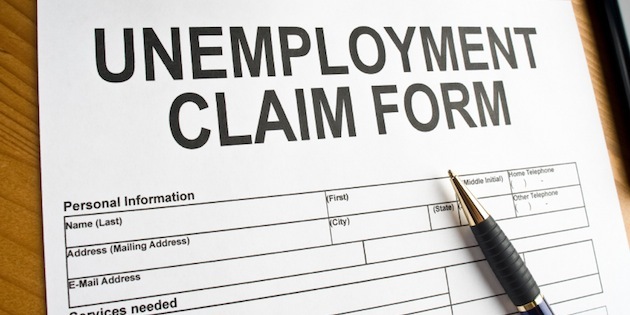 Already extended 73 weeks, should the federal government extend unemployment benefits another 13 weeks? 17% - Yes, as long as necessary. 5% - Yes, but only one more time. 27% - Not unless it’s paid for with spending cuts. 51% - No. It has to stop sometime. Almost 8 of 10 of our respondents think it’s time to stop extending unemployment benefits. Instead of asking Congress for an extension, in my opinion, the President should stop the anti-business behavior and rhetoric of his administration that make businesses reluctant to grow, take risks, and hire new employees. 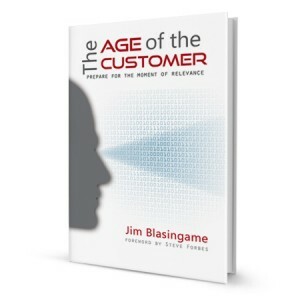 Click here to learn more about The Age of the Customer® and to purchase my latest book.